May 16, 2014, 11:04 a.m.
Plus: New NSA details from Glenn Greenwald, explaining lack of digital innovation in local newspapers, and the rest of the week’s journalism and tech reads. By Mark Coddington @markcoddington May 16, 2014, 11:04 a.m. This week’s essential reads: This week’s most important pieces are The New Yorker’s Ken Auletta on Jill Abramson’s firing, the Nieman Lab staff on The New York Times’ innovation report, and Duke University’s The Goat Must Be Fed report on digital innovation (and non-innovation) at local newspapers. 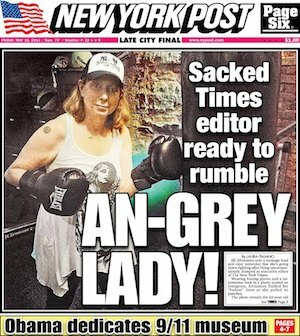 Abramson run out at The Times: The New York Times unexpectedly ousted its executive editor, Jill Abramson, this week, elevating her top subordinate, Dean Baquet, to the paper’s top spot. The move was a genuine shock to much of the journalism world, as Abramson, the first woman to hold The Times’ top editing post, had overseen a period of editorial success during her three years in charge. Here’s a summary of the reported accounts from those six sources: Abramson had been in more or less continuous — and building — conflict with Sulzberger, Baquet, and Times CEO Mark Thompson since her promotion in 2011. Sulzberger saw Abramson as too self-promotional, while Thompson and Abramson clashed over Thompson’s expanding role in editorial matters, including Thompson’s push for more video content and for native advertising, two strategies of which Abramson was skeptical. Thompson was also upset with Abramson for sending a reporter to London to investigate whether he had a role in covering up the BBC’s sexual abuse scandal during his time there. More recently, she had angered Baquet by offering The Guardian’s Janine Gibson a co-managing editor job to share with him without consulting him. (Gibson declined.) Finally, an innovation report produced last week and headed up by Sulzberger’s son concluded that The Times needed to move faster to adapt to a digital-first transition. (The Lab’s Joshua Benton and the rest of the Lab staff have a fantastic summary of this momentous report, which was leaked this week.) This was all on top of a general perception in the newsroom of Abramson’s leadership style as “brusque” or “pushy,” though Abramson had recently worked with a consultant to improve her management style. The most explosive source of tension was reported by The New Yorker’s Ken Auletta: Abramson discovered that her pay and pension benefits were considerably lower than those of her predecessor, Bill Keller, and confronted Times executives about the disparity. NPR’s David Folkenflik confirmed that Abramson did challenge executives over unequal pay, though The Times denied that Abramson’s compensation was less than Keller’s, as did Sulzberger himself. Gawker noted that The Times’ statement regarding Abramson’s compensation continued to change, from “not less” to “not meaningfully less” to “directly comparable,” and Auletta pointed out that “directly comparable” didn’t mean it was the same, especially since Keller had been at the paper for much longer than Abramson had. FiveThirtyEight’s Chadwick Matlin noted that beyond Abramson, there’s a broader gender-based pay gap among American editors, and Rebecca Traister of The New Republic and Forbes’ Ruchika Tulshyan both lamented the gender-based elements surrounding Abramson’s departure, particularly the perception of her as “pushy.” The List’s Rachel Sklar decried Sulzberger’s treatment of Abramson, saying he displayed far worse leadership skills than she did. (Gawker’s Hamilton Nolan also ripped Sulzberger’s general handling of the firing.) As Vox’s Danielle Kurtzleben wrote, “at first blush Abramson’s tenure is a perfect storm of everything ugly about becoming a woman boss, from the wage gap to the glass cliff to the gender stereotypes that afflict female leaders.” Times public editor Margaret Sullivan said she believed the ouster had more to do with undiplomatic personnel decisions than gender issues, though she had praise for Abramson’s tenure as a whole. 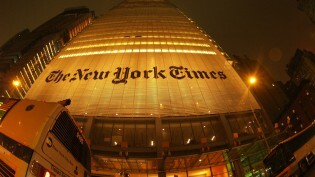 Slate’s Amanda Hess reported on the influential role she had with young women at the Times. There’s also, of course, the man who is succeeding Abramson — Baquet, a longtime Times journalist who also edited the Los Angeles Times and is now the paper’s first African American executive editor. The Times and New York magazine offered brief profiles of Baquet, and at Quartz, Richard Prince explained why it’s a big deal to have a black journalist running The Times. At AllDigitocracy, Tracie Powell reflected on the mixed news for newsroom diversity in the change from Abramson and Baquet. Ryan Chittum of the Columbia Journalism Review explored the task ahead of Baquet, and Gigaom’s Mathew Ingram said the paper’s still headed for trouble in its digital transition regardless of who’s in charge. What’s next for the FCC’s Internet regulations: The U.S. Federal Communications Commission voted Thursday to approve a preliminary proposal that would let Internet service providers create “fast lanes” for content providers that paid extra. The FCC will now take initial public comments on possible changes to the regulations until July. Ars Technica and The New York Times have good explanations of the FCC’s proposal and its decision yesterday. Earlier in the week, The Wall Street Journal reported that Wheeler was planning on revising his proposed rules to ensure that non-paying companies’ content wouldn’t be put at an unfair disadvantage. Stanford’s Barbara van Schewick and Morgan Weiland called the reported revisions a good start, with a long way yet to go. In a Twitter chat, an FCC representative gave some more details about the proposal and said the commission is still considering regulating Internet access like a utility. Columbia professor Tim Wu and TechFreedom’s Berin Szoka debated that prospect in The Wall Street Journal. Opposition to the plan hasn’t reached a fever pitch, but it is building. Quartz’s Yitz Jordan looked at the way net neutrality has united leftist and corporate tech interests, and The New York Times’ David Carr said he’s betting on the Silicon Valley powers aligning against the FCC plan over the Beltway establishment backing the proposals. The New York Times’ profiled an intellectual leader of the net neutrality movement, Columbia’s Tim Wu, and Time and CNET talked to one of the most prominent voices against the plan in Washington, Sen. Al Franken. Greenwald, the NSA, and the press: The Intercept’s Glenn Greenwald published his book this week on Edward Snowden’s revelation of the U.S. National Security Agency’s widespread surveillance programs, called No Place to Hide. 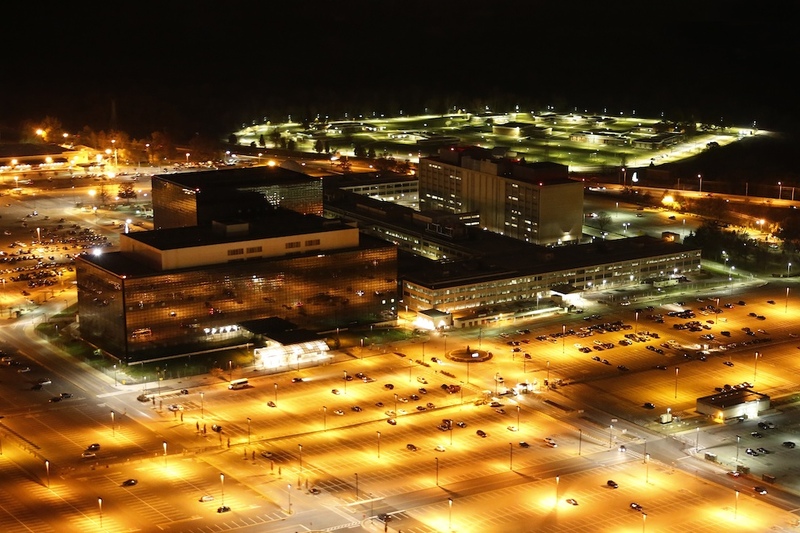 The Guardian ran one excerpt from the book on revealing Snowden’s identity last June and another with the book’s main new piece of news that the NSA has been planting interception devices in U.S.-made Internet routers shipped overseas. It also published a wide-ranging article based on an interview with Snowden. Wired’s Kim Zetter gave some of the fresh details from the book while calling it a good overview of what the documents have revealed so far. Sony already bought the book’s film rights, and Frontline also ran the first of a two-part episode on NSA surveillance, which revealed that The New York Times knew about the program as early as 2004 and only published a story on the warrantless wiretapping because its reporter, James Risen, was planning to break the story in a book. In the Columbia Journalism Review, Malcolm Forbes was more critical of the book, tweaking Greenwald’s critique of mainstream journalism as being uniformly in service of power and his proposal of total government transparency. Jack Shafer of Reuters had similar criticism for Greenwald, saying that while he appreciates Greenwald’s adversarial style, his bellicosity toward other journalists is excessive. Meanwhile, British media professor Julian Petley lambasted the British press for its animosity toward The Guardian regarding the Snowden leaks. — Poet Lynn Melnick and Slate’s Amanda Hess pointed out the gender disparity in The New York Times’ obituaries, prompting Times public editor Margaret Sullivan to highlight that issue and other gender gaps at The Times. Meanwhile, The American Prospect’s Gabriel Arana chastised liberal media organizations for their lack of diversity, and The Washington Post’s Alyssa Rosenberg suggested ways that publications can improve their diversity. — A Duke University report titled “The Goat Must Be Fed” examined why local newsrooms in the U.S. aren’t using digital tools, concluding that many smaller and mid-sized news organizations are too wed to production routines and without the resources or technical expertise to experiment in innovative digital reporting forms. Poynter and the Lab both summarized the study’s findings. — The Washington Post’s Erik Wemple reported that the Associated Press has directed its journalists to keep most daily bylined stories under 500 words, and Reuters made a strikingly similar directive last week. Reuters’ Jack Shafer lamented a one-size-fits-all approach to news story length. — Finally, several interesting pieces to give a read: The Lab published an excerpt on NYTimes.com homepage construction from a new book on The New York Times by journalism professor Nikki Usher as well as an interview with Usher about the process of researching for the book. Poynter’s Roy Peter Clark proposed a “pyramid of journalism competence” in the skills journalists need to know, and Source’s Erin Kissane looked at the different standards for openness at FiveThirtyEight, Vox and The Upshot. POSTED May 16, 2014, 11:04 a.m.
Coddington, Mark. "This Week in Review: Behind The Times’ big change, and the FCC’s proposal moves forward." Nieman Journalism Lab. Nieman Foundation for Journalism at Harvard, 16 May. 2014. Web. 24 Apr. 2019. Coddington, Mark. "This Week in Review: Behind The Times’ big change, and the FCC’s proposal moves forward." Nieman Journalism Lab. Last modified May 16, 2014. Accessed April 24, 2019. https://www.niemanlab.org/2014/05/this-week-in-review-behind-the-times-big-change-and-the-fccs-proposal-moves-forward/.